Do you remember the days when need to wait for your lights to get started because it was blinking for the past few seconds and thanks to their starters? Well, gone are the days. Now, you can see and control the light through your smartphones and they are not like your average LED lights. They are not just installed at one place and light your room like you regular bulb or light. Smart LED lights can do much more. You can wirelessly connect them with your smartphones, can save your monthly utility bills, and can help in the security and safety of your home and much more. If you’re looking forward to having these lights in your home or still not convinced whether they’ll work or not, check out the list of the best smart LED lights and get all your answers. 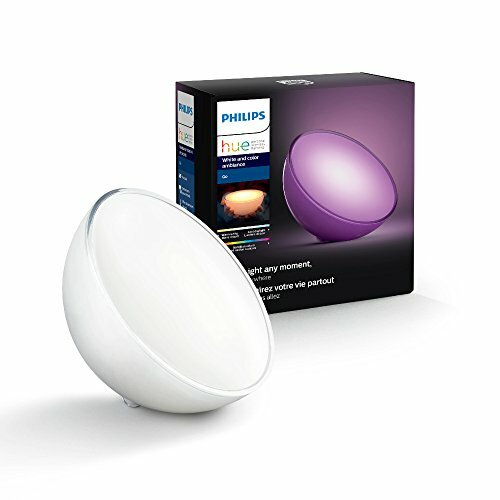 Philips Hue Starter Kit: Say hello to the revolution in home lighting. 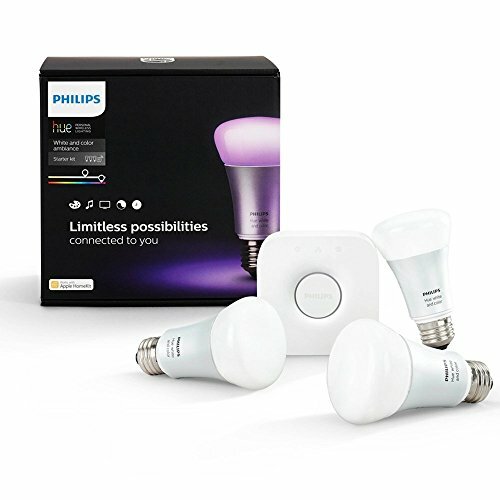 This Philips Hue Starter Kit gives you the control over 50 bulbs and lets you create special moments with a variety of colors all of which can be controlled via your mobile, Alexa, Google Assitant, Apple etc. Syska Smart Light: On a strict budget? No issues. This Wi-Fi enabled LED light is available for less than Rs.1500 and gives you access to over 3 million colors. And yes, it too can be controlled via Alexa and Google Assistant. Let’s start with the best pick and a product that we would definitely recommend to everyone for an amazing experience. Philips hue provides decorous lightning feel with some amazingly unique features. It not only allows you to experience good lightning in the house but also you can control the light using your smartphone or tablet. The best thing about the Philips hue is that it comes with endless possibilities to bring out your creative side and personalize the lighting according to your lifestyle. Like any other hue product, this one also needs a hue bridge and is compatible with Amazon Alexa, Google Assistant, Echo Dot, and Apple HomeKit. It even helps you to start your feeling refreshed because the light’s brightness increases slowly, imitating the effect of sunrise. It promotes your well-being by allowing you to select the right kind of light for your daily routine. Most powerful and flexible lighting system. An excellent ecosystem of apps. Large range of add-on lights. In this smart lighting world, LIFX is one of the strong contenders, which may not be as smart as Hue but with amazing quality, excellent functions, and features, the ever-expanding line-up of lighting options it definitely gives a tough completion to the best products. You can directly connect with your Wi-Fi network and are also compatible with different smart-home systems like Google Assistant, HomeKit, and Amazon Alexa. But since your bulb relies on a Wi-Fi connection, thus, the reliability of your bulb will depend on how good your network is. The bulb doesn’t need any additional hub or gateway. These bulbs are the brightest of all color-changing bulbs. They still are a bit expensive. Flat-headed bulbs are not the slickest. What else you need when you can create an outstanding ambiance or lighting in your home from anywhere in the world? 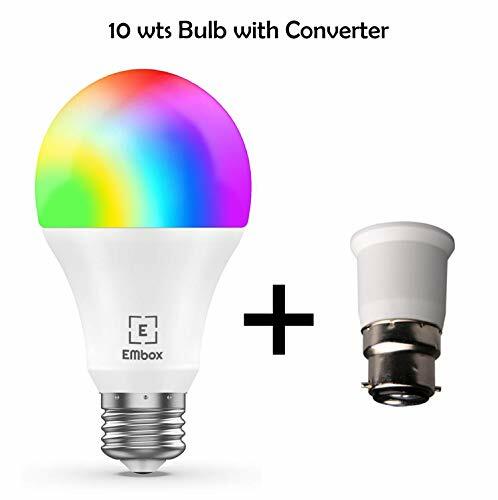 And this is the bulb that can support up to 3 million colors that make it worth its price. The features and specifications of the bulb might sound something new to you but when you look at it, the bulb looks like your traditional bulb. Also, just download the ‘Syska Smart Home LED’ app and you can change the mood of your surroundings within a second. And not just this but the product comes with some other amazing features like grouping devices, voice control, schedules, and scenes etc. In fact, you can save on your energy bills while you add color and style to your surroundings. Your existing Wi-Fi is just enough to operate the bulb. One of the best things is the bulb is quite affordable. All your family members can control the lighting, just make a group. Compatible with smart home devices like Amazon Alexa and Google Assistant. Compatible with 2.4 GHz modem only. Once your Wi-Fi goes off or signals got weak, you need to reconnect the bulb. You must’ve got an idea from the name that you can take this bulb with you wherever you go. The pleasing curved shape works like you’re handling a personal handheld light. Also, light up the special moments in life with millions of colors or stick to the everyday white light since its compatible with your smart devices making all adjustments through your voice command or app. Once you get the bulb you’ll see a button on the top to help you adjust the brightness, temperature, and color of the lamp. The bulb can last up to 3 hours if fully charged. It comes with 7 different light effects including 5 natural dynamic lights, warm white light, and energizing daylight. The device is compatible with Alexa, Google Assistant, and Apple HomeKit. The device is bit pricey. The bulb needs a hub for full potential. Have you planned to start with the smart lightings? So, the Mansaa Smart Shine can be that product to start with. They are really easy to use and a person can easily control it via Bluetooth or any Bluetooth enabled smartphone. The product comes with millions of colors in one light to just go perfectly according to your mood. And you can now invite your friends or relatives for a light and music show at your home; just sync the lights with music. Comes with 16 million+ colors for mood lighting. LED technology and Bluetooth wireless allow you to personalize your lightning. Each color is dimmable and perfect choice for residential and commercial use. Sometimes, the bulb can be a bit noisy. Control From Anywhere:Even you are not at home, you can control your smart bulb on/off with your phone via Smart Life App. Easily set schedule for your smart bulb. Customize your home light system, like setting lights to come on at dusk or turn off at sunrise. You can create a group for all of your smart bulb and control them all with just one command. Works with 2.4GHz Wi-Fi network. Voice Control: Works with Alexa or Google Assistant. Control your lights via voice commands to turn on/off, adjust brightness and more. No hub required and easy to install. Smart Lighting: Express yourself and make your space more creative with EMBox Smart Bulb. Choose from 16 million colors and shades of white to instantly change the look and atmosphere of your room. Control remotely with your smart device, create customized scenes and unleash your creativity. Meet your party, read, leisure light. Well, the bulb is no different from any other smart light and can be controlled from anywhere via Smart Life app. You can not only customize your home light system but can create a group for all the smart bulbs to control them with just one command that eventually makes it much convenient. You can control the lights via voice commands to turn on/off them, adjust their brightness and much more. Also, with this newest lighting technology can save up to 60% on your energy bills. 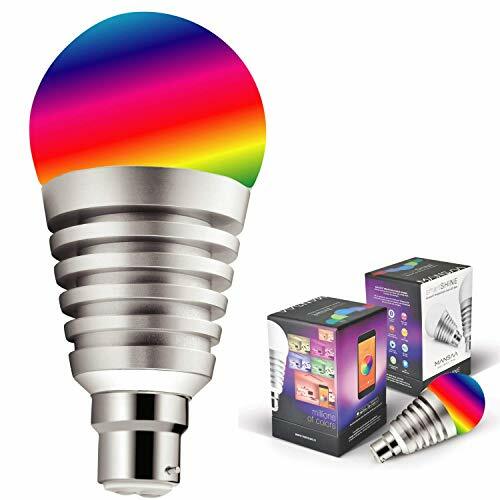 A bulb that can be used anywhere you need colorful light like home indoor lighting, birthday party, and holiday decoration. One can easily set a schedule for their smart bulb. No hub required and easy-to-install. Are compatible with your smart home devices like Amazon Alexa and Google Home Assistant. Some of the users have complained about its brightness that is not up to the level. 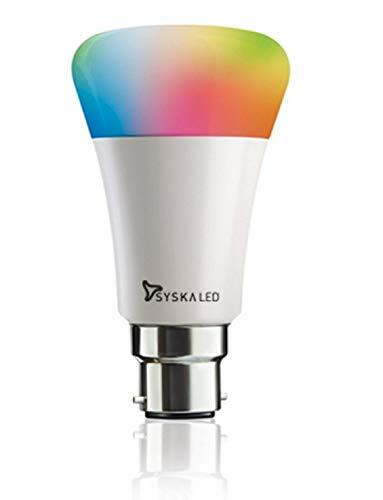 Last but definitely not the least, these smart lights can be installed easily like other standard bulbs and can be connected easily to your home Wi-fi through the free Kasa app. 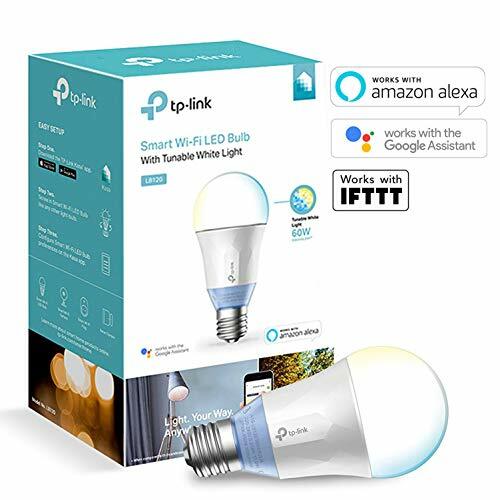 Like other smart lights, TP-Link smart light also allows you to adjust the brightness, set schedules, and the scene with your smartphone or tablet. The bulb even take care of your mood, whether you’re planning for a movie night, or a candlelight dinner, just go through some settings and it’ll create the perfect atmosphere according to your mood. It’ll even take care of your daily needs and preferences and for that, you just need to set the schedules. Isn’t that easy and a tension-free task? No hub required for full potential. Is compatible with Android, iOS, Amazon Alexa, and Google Assistant. They can even save up to 80% on your energy bills. Since these lights are not your regular lights, they are far different. The only similarity between the smart and regular lights is- they help in light your house. Thus, you need to consider a few factors before you get the best for your house or workplace. I already told you that you need a wireless connection to let you smart lights work. Well, some of you may want or able to operate it independently via Bluetooth or a Wi-Fi connection, whereas a maximum of you must be connecting it to your home internet using an app on your mobile phone or any other smart device. If not this, you may need an extra hub product like the Phillips Hue Bridge to interface between your smart lights and the app. 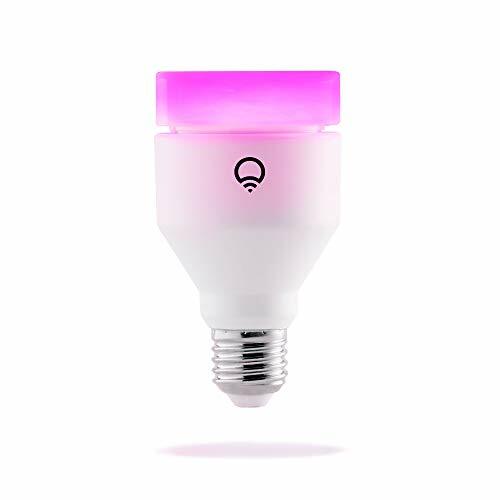 You would be really glad to know that the smart lights share great compatibility with a number of different wireless technologies and smart home brands like Wi-Fi, Bluetooth, Google Home, Amazon Alexa, Xfinity, Wink and many more. Remember that these smart lights have an app. You’ll be using that app to arrange and make a few adjustments during the installation of your smart lights. You need to name the light’s location in your home, assign them to rooms and also, you need to set some schedules like when you want them to turn off when they should start dimming etc. What else you need when you turn on or off the lights just by giving them a command. And not only ON and OFF but you can also change their color, hue, temperature, and even the brightness. These smart lights are smart enough to use the GPS on your home to know where you are in your home. And in fact, based on that location, these lights will decide whether they need to turn on the lights or not in a particular room. Isn’t that so great? Well, these smart lights are available in the standard sizes, which almost every home needs. And these smart lights include floor and table lamps, thin light strips, floodlights and many more. And the best thing is that most of the bulbs will be 60-watt equivalent LED. Why to always get those regular colors? That’s boring. Try these smart lights because they come in full color, bright/cool white, and soft white. If you’re looking for full-color bulbs, they include shades if white.